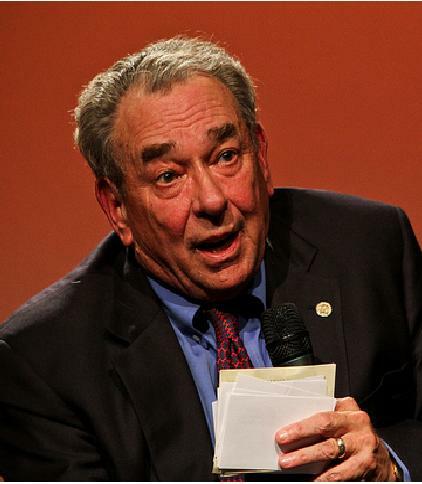 RC Sproul. Safe or unsafe? Dang…people…you know RC is totally safe. He’s one of my favorite theologians. RC wrote The Holiness of God, What is Reformed Theology?, Chosen by God, and Essential Truths of the Christian Faith. RC…safe. Lately I’ve consulted with several young people who use dating websites like eHarmony and Match.com. Before saying “yes” to any proposal, these people ask me to evaluate the mental, spiritual and emotional health of their wannbe spouses. My feedback has been kinda bad news for some but a relief to others. It’s nice to get some imput before leaping into a big decision. Knowing the difference between safe and unsafe people is really good when you’re picking a mate for life. The following column is all about recognizing safe or unsafe human beings. Test your discernment by looking carefully at the photo and then determine: Safe or unsafe? There are 20 entries below. If you can discern 20-15 correctly, you have a finely tuned human insight meter. 14-10 correct means your meter may give an occasional “false positive” or “false negative” reading. You’ll be right as often as you’ll be wrong. That’s good enough when buying a used car but not really good enough for mate selection. 9-0 means you have a totally faulty discernment meter. You aren’t gonna last long out there. Better lock yourself in a bunker. 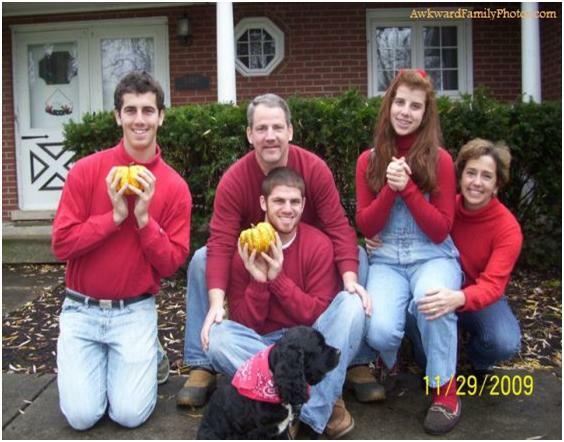 Final note to give credit where credit is due: You can find many more of these funny photos on Awkward Family Photos.com. Enjoy this self test. I think you’ll find the results as reliable as some of the women’s magazine tests at your local super market. Okay, first up: Safe or unsafe? 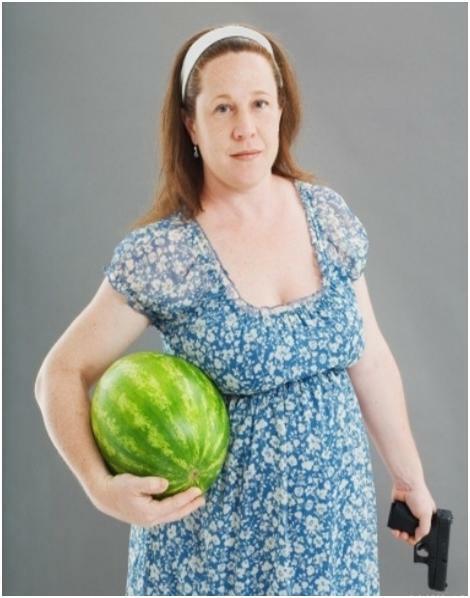 You’ve got a stern looking white chick with a watermelon under her arm and a locked and loaded 9 mm in her left hand. Answer: Clearly a safe person. Don’t touch the watermelon and you’ll be fine. Next one and it is a tough one. 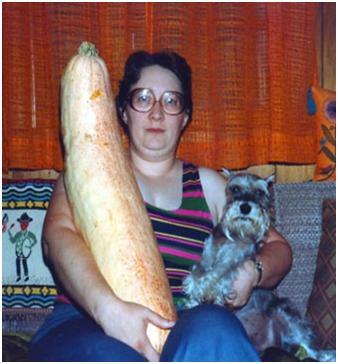 Behold a chubby woman with a giant squash and a little yappy dog. What do you think? Vegetable and animal lover or unsafe scary person? Answer: Oh my goodness…totally unsafe. This is a family portrait. If you aren’t in her family, your life is meaningless. I wouldn’t trust the squash or the yappy dog either. A boy and his papa. 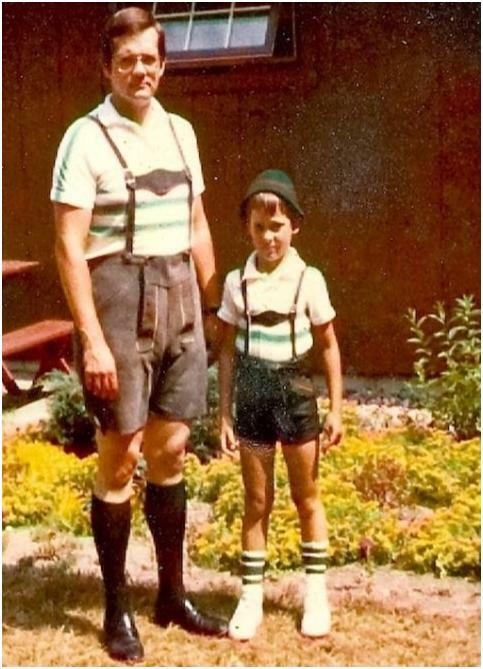 Nothing like matching lederhosen to draw father and son closer. Still…are they safe or unsafe? Answer: Don’t be fooled on this one. These two are not safe. They will be yodeling over your dead body before you can say, “The hills are alive with the sound of music.” That kid has just drank his weight in Bavarian dark ale. Watch your back, he’s a mean little drunk. Well…this is a lovely couple at the prom. 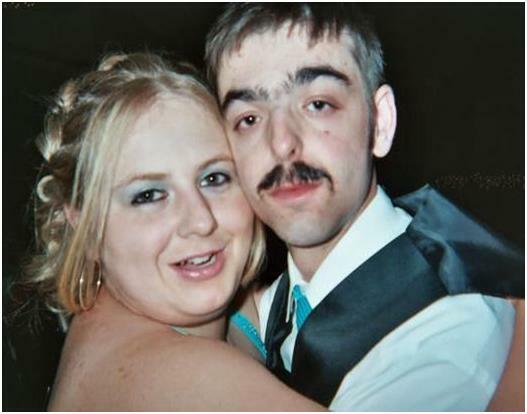 Happy looking young woman embracing a slow witted guy with a ratty mustache and unibrow. Safe or unsafe? Answer: Definitely unsafe. This couple has nothing to lose. They will hurt you. They have totally given up…and rightfully so. They are regulars on Forensic Files unsolved cases. 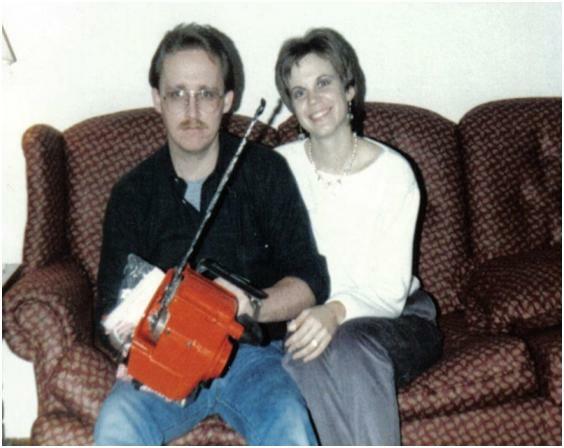 Hmmm…consider this happy smiling and adoring woman with a sullen depressed looking companion holding a chainsaw. What do you think? Safe or unsafe? Answer: You got it. Safe as mother’s milk. Even a guy with a psychiatric disorder knows better than to fire up a chain saw indoors. We’ve all tried that at least once and nothing good comes from it. As long as he’s sitting on the couch with the saw, he’s fine. What a fine looking group of “men of the land”. Obviously plenty of earth tones in their “color me beautiful” profile. What do you think: are they just the salt of the earth or bad hay seeds looking to sow mahem? Safe? Unsafe? Answer: Safe as a G rated movie in 1939. This is actually a wedding photo. Remember when Billy Ray married his pet possum? What a cute couple. Pa gave the bride away. Billy Ray’s two best friends from elementary school stood up with him. The happy couple live in a trailer down on the Mattly place. Answer: Absolutely safe. See sis in the front door window? She can’t wait for the party to begin. This little gal is fourteen years old and starting to grow her first vampire’s tooth. Cute. Here’s a touching scene. 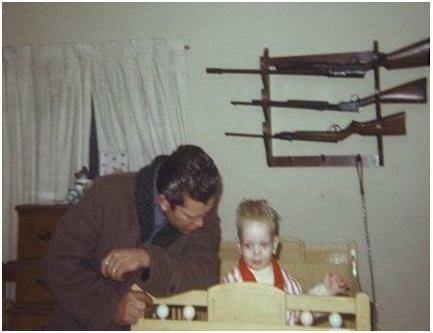 Dad and son in front of a full gun rack in the baby nursery. Safe or unsafe? Answer: You got it. Totally safe. This dad genuinely cares about his child. What about that crazy look in the kid’s eyes? Oh, that probably has something to do with being kept on that leash hanging off the gun rack. No worries. He’s a happy little tyke otherwise. What do we have here? Adoring family or unsafe whack jobs? Answer: No one is safe in the Cult of Bob. They all drank the Bob Kool Aid and expect you to also. 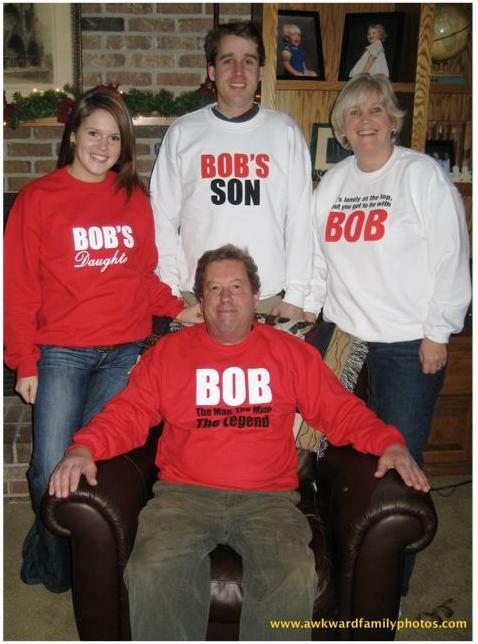 If you’ve already put on the Bob sweatshirt, it is too late. Bob has your soul. Another birthday party with the family. Mom has a beleaguered, beat down look. Dad’s disheveled, bulgingness is daunting. And there’s a child crushed between them making for an awesome party atmosphere. But looks can be decieving. Are we talking safe or unsafe? Answer: Totally unsafe. This guy is so full of hate the birthday cake is afraid of him. He will attack you with his belly and you will not escape its wrath. Don’t walk away from this birthday party. Run. Cute little girls, huh? And literate too. Reading Mein Kampf to her baby doll is just precious. Surely…these a safe little sweeties. Answer: Holy crap…this might be the most unsafe group in this column. 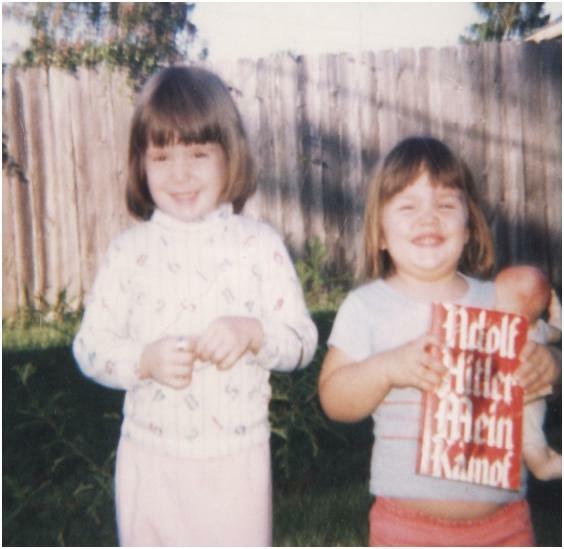 The little gal on the right will stab you in the face with her doll while her buddy says, “Sieg freakin’ heil, punk.” The photo is a little blurry because mom’s hand was shaking while she took this one. These are extremely dangerous kids. 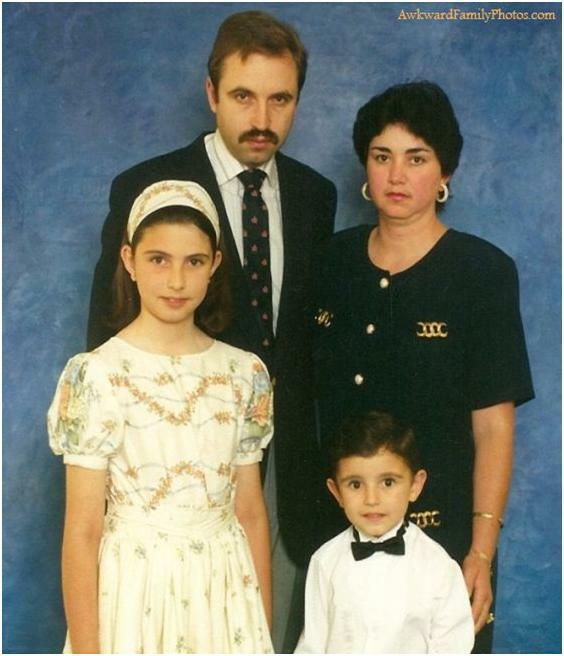 Looks like a nice well dressed family. I think this might be one of those photos for a church directory. I’m not sure what kind of church. This group is clean and tidy but are they safe or unsafe? Answer: The answer is fairly obvious: Extremely UNSAFE. The menacing looking dad is dangerous. The mom has no sympathy or empathy. Only cold contempt for anyone in her icy gaze. The kids will not help you. 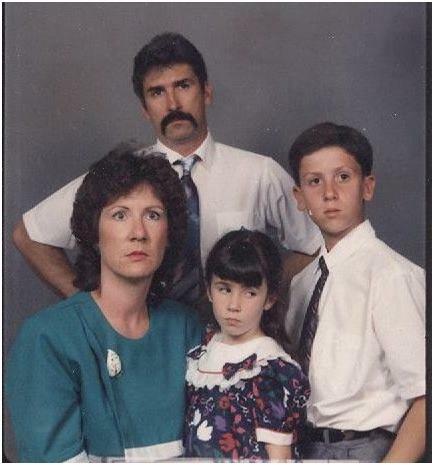 That little guy with the bow tie wants to be a mortician someday and he wants to start practicing on you. Back away from this group slowly. Okee dokee. Plaid on plaid. Gulp. That’s hard on the eyes. 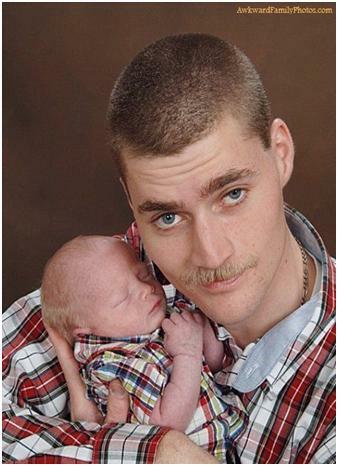 This sincere looking guy is sure proud of his little plaid baby. Makes you wonder…are we talking safe or unsafe? Answer: You have to know this is unsafe. Someone call child protective services now! They don’t even allow this sorta thing in Scotland. An entire convention of computer guys in plaid shirts would not approve of this abomination. This baby has plaid poisoning. It’s too late for him. Very sad. Renaissance family out at the fair. What could be more fun than having parents who really get into the medieval costume thing? Answer: OH MY GOODNESS! This is not good clean fun, folks. 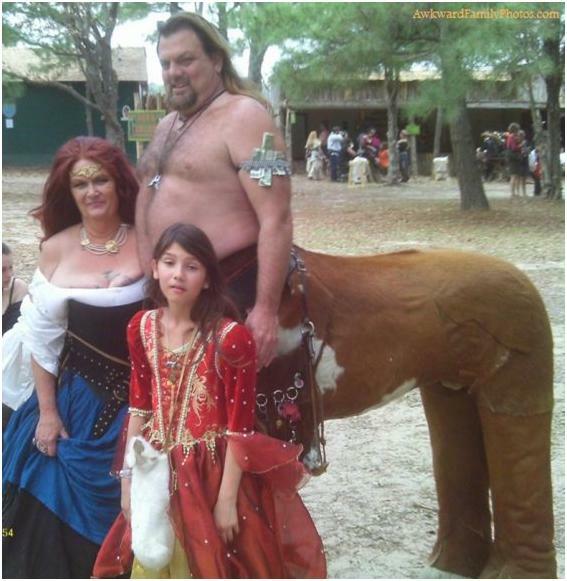 Let’s break this down a little: Dad is pretending to be a centaur. Gulp. What part of that fantasy is safe? Mom wants to be a scullery wench superhero…married to a centaur. Yikes. And the poor kid? Oh this kid is a no hoper. She made her white bunny, Pookey into a purse. Heaven only knows what Dad made his horse’s behind out of. 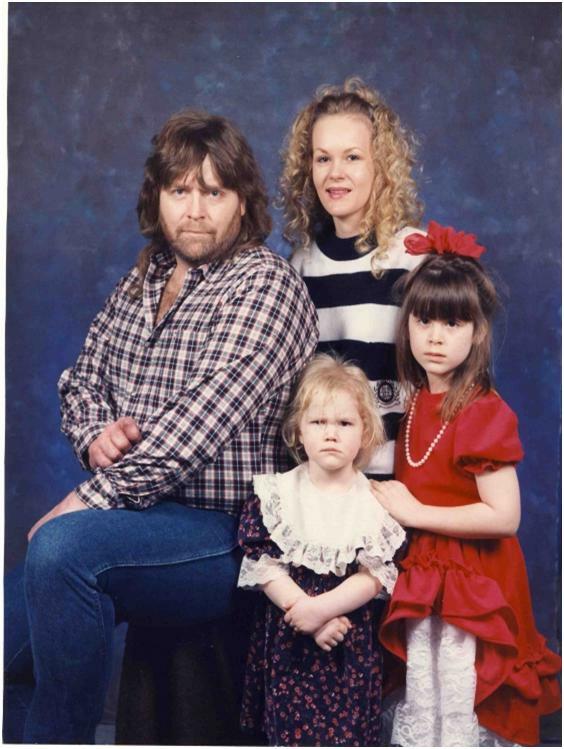 You’ve heard it said, “The family that scowls together hates together.” Well, this is a together family. Together doesn’t equal safe. Or does it? Answer: These are four highly unsafe human beings. The scowling bloated dad is ready to rip your bones out. He is immune to plaid. He’s so twisted it doesn’t even effect him anymore. The kids are little predators waiting to pounce. The Mom is totally unsafe. She’s still wearing her prison stripes. She enjoyed prison. She doesn’t mind going back. She feels safer in prison than sleeping beside her angry plaid husband. Special little pumpkin family. Loving…gentle…caring red and denim people. How could anyone question the safety of this group? Answer: Um…how could you not? Dang. This whole family is ready to go off. The pumpkin love theme is just a front. These people will rip your heart out and feed it to Skippy the dog. Do not buy the “we are the pumpkin loving people…come to us. Be our pumpkin friend” message. The empty handed sister in bibs and mukluks is coming for you first. 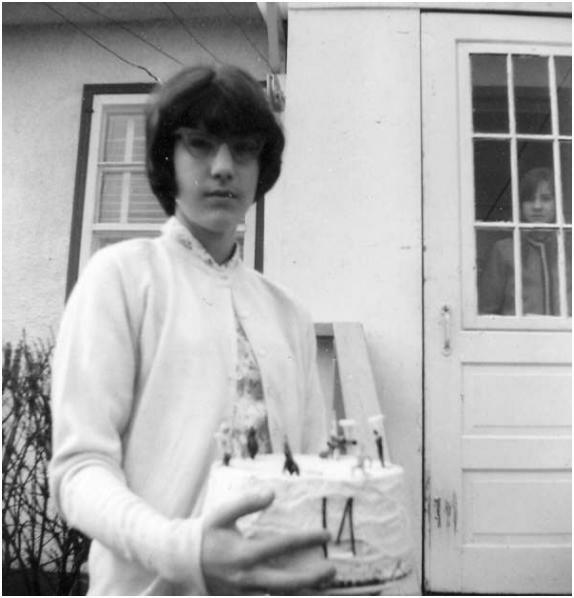 Another birthday photo? Why not? Birthdays usually bring out the safe or unsafe in everybody. But when you’ve got grandma and grandpa involved in the party, how could it be anything but safe? 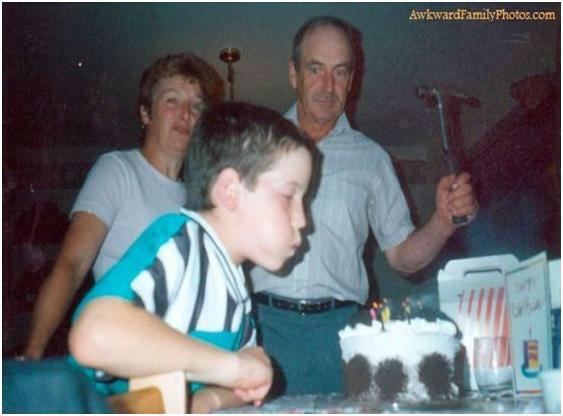 Answer: Well, gee…what could possibly be safe about Gramps wielding a hammer while a kid blows out his candles? There is also some kind of furry black fungus growing on the cake. Dang. That’s not healthy. This poor kid is blowing for his life. Grandpa just told him, “Come on boy, blow ’em out or I’m gonna beat ’em out. Heh heh. Then save a big piece of fungus for me.” Unsafe. Totally. Plus Grandpa is wearing a kind of muted plaid shirt. Always an “unsafe” giveaway. 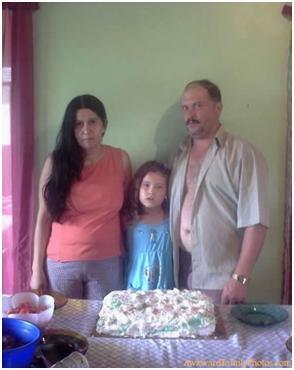 Interesting family here. Dad’s gigantic Pancho Villa mustache is menacing. 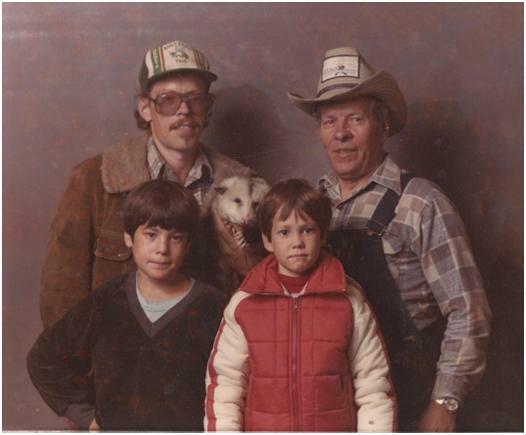 Mom is sickened and repulsed by you and the photographer. She hates you both. Brother is his father’s son without the vicious mustache…yet. Sister’s disdain for all living things is palpable. Having said all that…what do you think? Safe or unsafe? Answer: Uh huh. Unsafe. Please note the short sleeved white shirts with ties. When this crew shows up at your door, just take the Jehovah’s Witness literature from them, make a donation and don’t annoy them. 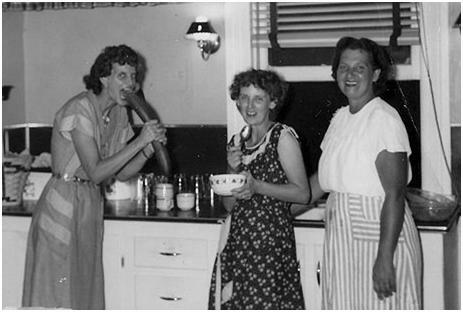 Doesn’t everyone have fond memories of their zany aunts getting crazy in the kitchen after a sausage making party? Looks like good clean fun, doesn’t it? Or is there something more sinister going on below the surface? Safe cute hilarious party aunts? Or an unsafe serial killing sociopathic trio? Answer: I hope you see these people as safe as a puppy at a PETA convention. You’ve got a big ol’ sausage and bowl of gravy. The message is clear: “Come on in. We are totally safe.” Aunt Hilda on the far right with those massive biceps is a little questionable. She could snap your neck like raw green bean. But as long as the sausage and gravy holds up, she’s fine. How about this charming character? Big furry white boy with kind, knowing eyes. 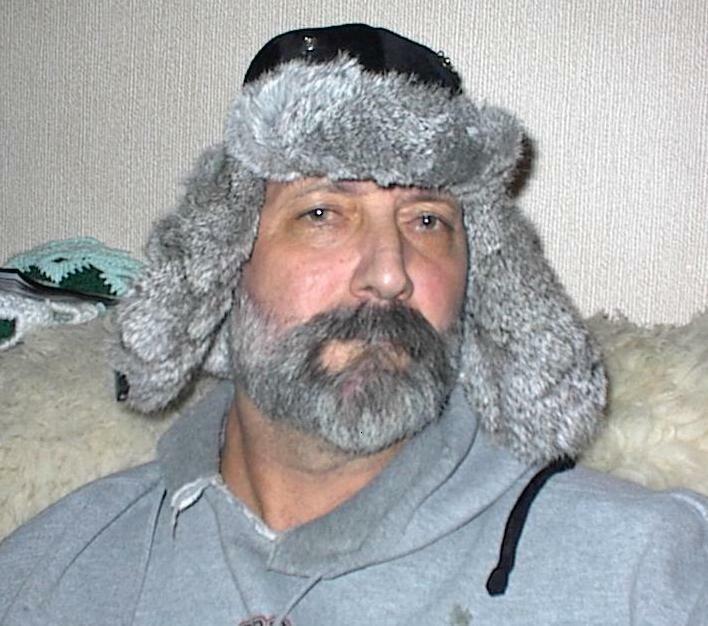 Even his hat has a big grey beard. Imposing…perhaps intimidating…but is he safe? Answer: That’s my twin brother, Terry. Of course he’s safe. Dang. I grew up with this guy. Shared a room with him till I was 19. He wouldn’t hurt a flea. Well…yes he would. But he wouldn’t hurt you…much.